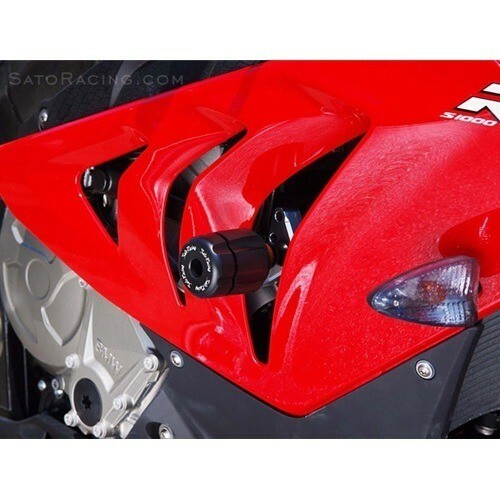 These "Revolver" style frame sliders from Sato Racing fit all 2012 and up BMW S1000RR motorcycles without any need for fairing modifications. CNC machined billet brackets provide a secure mounting point and move the delrin slider away from the body so you don't have to worry about cutting. Stainless and chrome-moly hardware is provided for maximum strength.